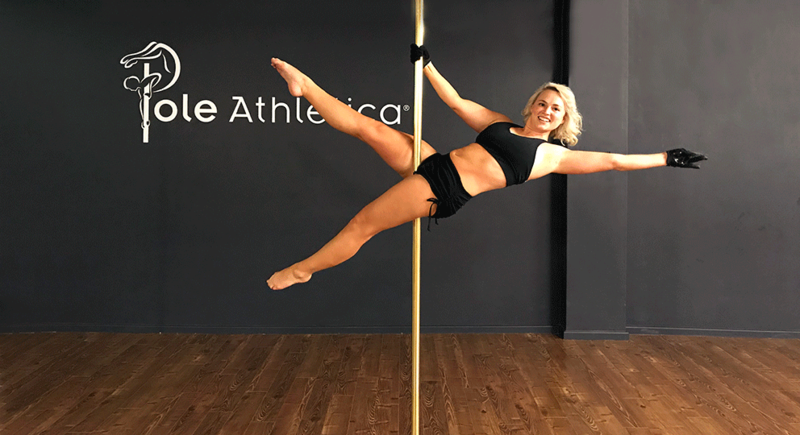 Like many, I'd been admiring peoples' beautiful photos on social media and was so jealous of all their amazing pole bodies. After I moved to Australia, I was working with an avid poler and she inspired me to give it a go. I was really keen to try something new and definitely wanted to tone and tighten things up! The more I get into it, the more addictive it's become! I've never really been one who likes to work out and think I've been to a gym about 5 times in my life. I thought the commitment of classes would "force" me to go, now I don't need that. I really love coming to class!!! I think what's at the core of it all has to be the instructors. PA has an amazing team that are truly inspiring. They’re so supportive and just generally lovely to be around. I also love the community, which sounds a bit cheesy, but I really do. I love how supportive everyone is and how genuinely excited we get for each other when we nail a move we've been struggling with. I’ve also definitely started to pay more attention to my body, and know when I can push it and when it needs a break. My Pinterest and google searches are a lot more about different conditioning exercises and stretches than my imaginary wedding now! I have hyperhydrosis, which means my hands an feet sweat A LOT. Like, wipe your hands on your pants before you shake someone's hands in the middle of winter kind of sweaty. So by all logic me and pole really shouldn't be a match. This has, and will always be a struggle for me, and has definitely had me on the verge of wanting to throw in the towel many times. I was really thinking of quitting when Brook told me she knows people who train with lotion on their hands to get their grip strength up. This one sentence has stayed with me and helped me battle through the frustrations, because if that's the case I just need to battle through and keep working on my strength. It was a bit of a struggle to get instructors to understand the level of sweatiness I'm dealing with, it's not something that they'd see often and isn't related to nerves or the heat. Through some great advice and internet searches, I have found some things that can help with the sweat and keep my grip for short times. As Jen says, everyone has their own pole journey. I've gotten a lot better at understanding this and knowing it's ok to repeat, or even three-peat a level if that's what you need to do to feel comfortable. I'd rather be confident and consistent in the moves before moving up. I’m finally learning to take my own accomplishments for what they’re worth and try to congratulate myself the way I would someone else. Bruises, so many bruises. Aside from the 12 kgs I lost this year, I’m looking a lot more athletic, leaner and more energized and I’ve developed a commitment to be healthier. My inverted V, and splits. Beyond that, I really would love to start to stringing moves together and get my stamina up for combos. Right now I really loving it, as long as my body will let me, I'm happy to keep going! The people. 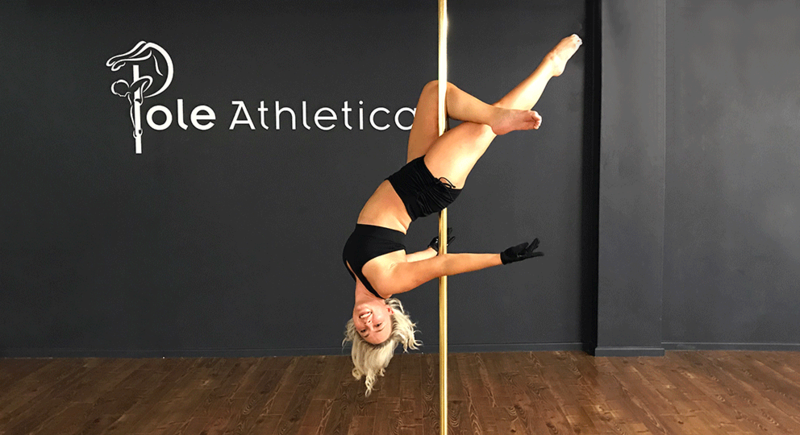 I'm constantly inspired by all of my amazing peers and the instructors and am so lucky for the support and encouragement from Jen, Yas and Sofiya and Brook for their wonderful support. 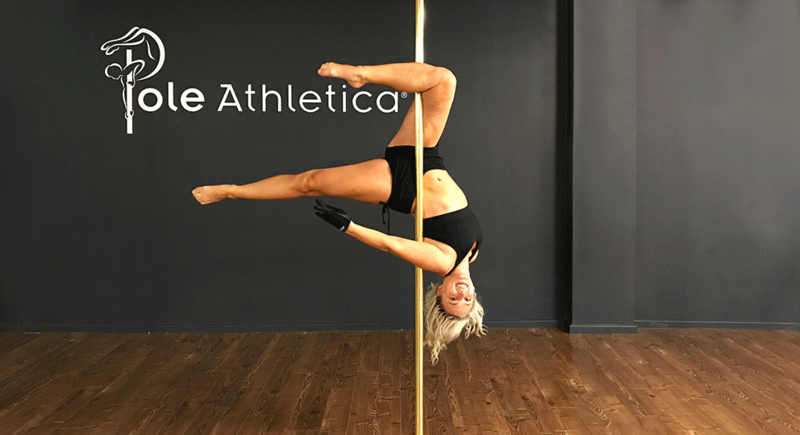 I did ballet and other types of dance when I was much younger, I love how pole combines my love of dance with new challenges for strength and flexibility. The beautiful shapes and performances are also mesmerizing to watch. I think anyone who wants to give it a try can benefit from it! If you're willing to work hard and are committed enough there's so much you can get out of it.